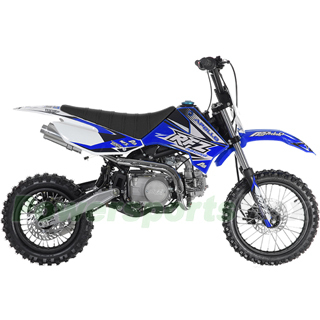 4-Speed Manual Transmission Take fully control of the dirt bike, Pro's Choice! Wheel: 2.5-14" Front and 3-12" Rear Tires, More Traction! DB-G004 is the best dirt bike you could get in the market for less than $900. This bike was designed by experts and used by pros. We paid great attention to the balance of our dirt bikes. Front fork, suspensions and tires are special designed and tested. You will have smooth and comfort ride experience with our balanced bikes! We stock all parts for DB-G004 from manufacturer directly, any problem or any need, simply give us a call and we will service you promptly. Just enjoy and have fun, DB-G004 is the ultimate dirt bike in its class! Your Expert Choice! Shipping charge for one single unit of DB-G004 is $199.95(Please login to see real shipping charge for these states: Florida, New York, District of Columbia, Connecticut, Maine, Maryland, Massachusetts, Montana, New Hampshire, New Jersey, Pennsylvania, Rhode Island, Vermont, West Virginia, Delaware, etc.) , and you will get discounted shipping price if you order multiple item. I love what I got, its a great bike and is very easy to learn. It handles very well and was very easy to put together. I was surprised how fast it actually took to get to my house from California. I will definetely buy off of this website again in the futer. I am a 17 year old and I know how to handle dirtbikes( somewhat ). Im 5'7 with need for speed..... Is this bike good for me. Love the bike, was easy to assemble, and my son loves it!! I just have to say APOLLO is a godsent for all of us that ain't filthy rich or got perfect credit.My kids do not care who made the thing they are jus ..